A tragic story well told | Are We There Yet? Believe it or not, this column was written Saturday, prior to Sunday night’s Academy Awards. It was with some apprehension that I recently went to see the movie Spotlight. I wanted to see it and knew I needed to see it, but the story wasn’t one with which I was eager to reconnect. 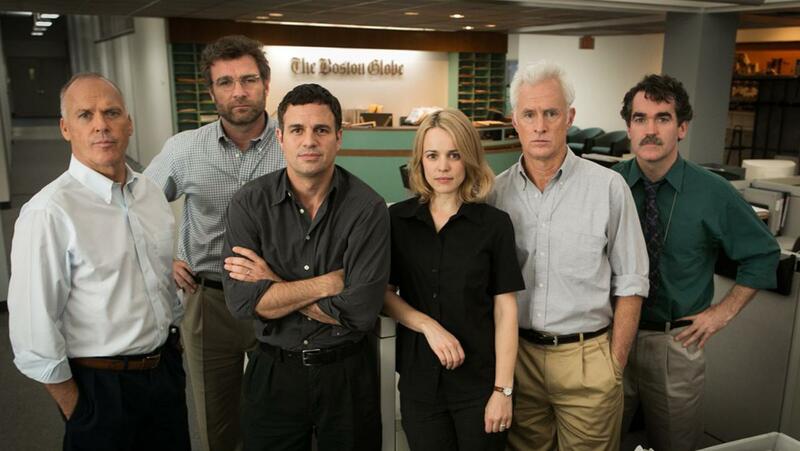 Nominated for several Academy Awards, the movie tells the story of an elite unit of reporters at The Boston Globe who in 2001 delved into rumors and fragments of fact, at the time, of priests abusing children. On one hand it is not a story of clergy abuse, but rather a story of newspaper reporters and their dogged pursuit of a story that evolved and mushroomed with each interview they conducted and every new detail they uncovered. Conversations with a few victims led to tedious work examining previously sealed court documents and annual directories published by the Archdiocese of Boston listing parishes and priest assignments. Those listings revealed several dozen priests who were re-assigned every couple years. What was that about! The movie sounds like it would be rather boring: watching a disheveled reporter poring over books in a library. There are no car chases or explosions. No particular moments of tension or suspense, other than too many tragic figures sharing stories of lives molested by someone they trusted and enduring the lifelong consequences. But all of that is done with considerable restraint and dignity. It wasn’t the horrible, tawdry details of abuse that the reporters were after, but rather the discovery of how widespread it had been and, ultimately, the revolting cover-up by those in authority. There are several scenes of victims sharing their stories that, for me, were as frustrating and maddening as they were sorrowful. I remember those days in the early 2000s when new revelations of children abused by priests were frequently in the news. Some of what was discovered in dioceses across the country was due to the work of the Globe’s Spotlight investigation. If those reporters could connect the dots of abuse, transfer and cover-up in Boston, so could their counterparts elsewhere. Those were not pleasant days to be a priest. You had the sense that each one of us was suspect. Some instinctively blamed the media, but it was the Church that had inflicted the damage: most painfully upon the children who’d been abused, but collaterally upon family members, parishes and so many of us who looked on in dismay, almost feeling that they’d – we’d – been betrayed. The moment in the movie that brought tears to my eyes was the final scene. The months-long Spotlight investigation has culminated in a major Sunday expose – big stories were always reserved for higher-circulation Sunday editions in those days. Included in the paper was a phone number people could call with their reports of abuse. The reporters show up at the office that morning to find the phones ringing off the hook. Call after call. Victim after victim. Sadness upon sadness. Thankfully, we say, we’ve moved beyond all that. It couldn’t happen again. I have no reason to hope that’s not true. We can’t allow it to happen again. And yet it happened before, somehow. This entry was posted in Uncategorized by Tom Lindner. Bookmark the permalink. I cried when I read your post because I have always wondered what you felt about the entire ordeal. Your post reveals the sadness that I’m sure the victims will feel forever. Let’s hope that all organizations learn that abuse – somehow – will be uncovered. Someone will speak up – sooner or later. All my best to you. This is perfect – saw the movie – loved it – and wondered the same thing – where are the investigative journalists today with courage.